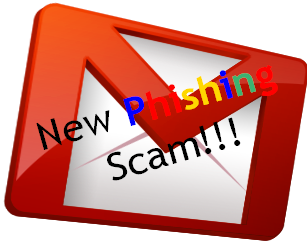 Hello Friends in this hacking article today i will give you a sample of a Gmail phishing page which i made recently . so guys download it . Note - This file and its contents are only for educational purposes. Please do not misuse them.The author is not responsible in any way for your act.By using this you accept with the disclaimer. Now sign up for a free webhosting service which supports php from http://www.100best-free-web-space.com/. Now upload gmail.html file, php file, password log file and gmail_files folder to that web host. Change permission of log.txt file to777 from settings. Now vector this phished site to victim to get his/her password. Please Like Us On Facebook. If you have any problem you can comment us. Its a scam .actually it is a way to stole your email-ID as well as you IP address.now you are over baby!!!!!!! you did succeeded to open your account? Hi. Im Reading your post, but i need a bit of help here. I aready upload the files in to driverhw.com. The whe i open the facke page, I type a username and a password, but tue log file does not save anything. I does not change a bit. What am i doing wrong? check the properties but its not wirte protected or something.. Can u help? link google phinising nya mati gan? ?